SINGAPORE — Collecting their A-level results on Friday (Feb 23), 238 students were told that their exam scripts for one of their H2 Chemistry papers had been stolen while being delivered to an examiner for grading in the UK, the first time such an incident had occurred. 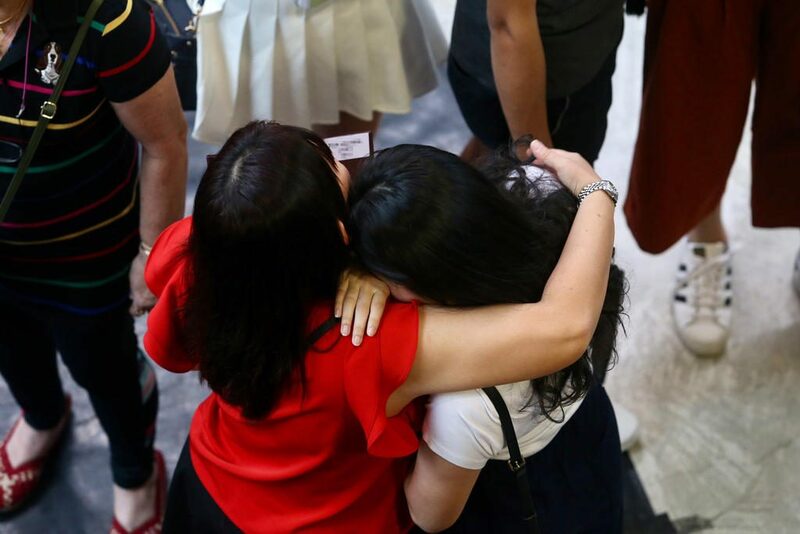 However, the affected students from Anderson Junior College, Anglo-Chinese Junior College, Hwa Chong Institution and Nanyang Junior College were still able to collect their results as they were graded based on their performance on the other three papers. Announcing the incident on Friday, the Singapore Examinations and Assessment Board (SEAB) said this was the first incident where national examination scripts sent to the United Kingdom (UK) for grading had been stolen. In 1993, some 261 O-Level English Literature exam scripts from four schools also went missing in the UK, but it was not established back then whether they were stolen. The stolen scripts for last year’s H2 Chemistry Paper 3 have yet to be recovered, and police investigations are still ongoing in the UK. About 60 students were affected from each of the four schools, and they make up about 3 per cent of the total 8,843 H2 Chemistry school candidates who sat for the exam last year. All of them passed the subject, said the SEAB, with 81 per cent of them scoring As and Bs. “All candidates attained better grades or maintained their grades in the national examinations, compared to their school-based examinations,” the board said in its statement. Accounting for 35 per cent of the overall score, the H2 Chemistry Paper 3 – which comprises essay questions – has the highest weightage among the four papers that students have to take for the subject. But as SEAB and Cambridge Assessment have a procedure in place to award grades to candidates who missed a paper with valid reasons – provided the weightage of the missed paper does not exceed 50 per cent of the total score – so that reexamination is not required. In this case, they decided to grade the students based on their performance in the other three papers. The students’ position in terms of percentile ranking within the cohort were first ascertained based on their performance in the three papers. This percentile ranking is then used to derive the missing marks for Paper 3, which allows a total mark to be worked out and a grade awarded, said the SEAB. “To check for consistency in the affected candidates’ overall performance in the Chemistry subject, Cambridge Assessment and SEAB also took into consideration the candidates’ school-based examination results”, the board said. For students who are unsatisfied with their grades, arrangements have been made to give them the option to re-sit for the paper on April 25 or in November. They have to register by March 9 to do so. The affected students in the four schools were called to attend a separate briefing by the school on Friday afternoon, after collecting their results, by the SEAB officials. In a separate statement, Cambridge Assessment, which had handled the stolen exam scripts, offered its “sincere apologies” to those affected and that it takes the “unfortunate incident very seriously”. The scripts had been sent to the UK for grading after the students sat for the exam on Nov 10 last year. In the midst of making the deliveries on Nov 16, a courier of Parcelforce – which is part of UK’s national postal agency Royal Mail – discovered that eight parcels from his locked van went missing and reported the case to the UK police. One of the missing parcels contained the 238 H2 Chemistry Paper 3 exam scripts, while the other seven were not from Cambridge Assessment. The SEAB said there was a 14-day delay before Cambridge Assessment notified the SEAB of the theft as well as the ongoing police investigations and attempts to recover the scripts. This was because Cambridge Assessment was assessing the situation, including checking if the scripts were misplaced, said SEAB. After it became certain that the stolen scripts could not be recovered, SEAB’s representatives met Cambridge Assessment in the UK in January this year to “discuss the appropriate course of action and how to provide a fair and valid assessment for the affected candidates”. Explaining why affected students and their parents were informed of the theft only on Friday, the SEAB said that informing them without being able to share their awarded grades “would cause undue anxiety” as their grades could be only determined after all of the Chemistry papers for the entire cohort have been marked. “Informing them of just their awarded Chemistry grade would also not be meaningful, as they would not know the grades for other subjects they had sat for,” said the SEAB. Describing the incident as “isolated”, director of assessment at Cambridge International Roderic Gillespie said that the “security of examination papers is of the utmost importance to us”. “Cambridge Assessment will continue to review the situation with the police and the courier company,” he added, without elaborating.